Knowledge of the Body Elemental and learning to work with it is essential if we are to become creators. 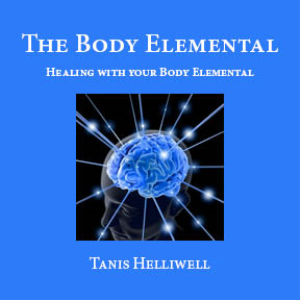 This talk and visualization are the most often requested by participants in Tanis Helliwell’s workshops. This CD is a perfect accompaniment to her book, “Summer with the Leprechauns”, as well as our Spiritual Transformation self-study course that has a chapter specifically on the body elemental. In the guided visualization in Track 2, called "Healing with your Body Elemental", you will meet your body elemental and learn to work with it in order to discover the various areas of blocked energy in your body and the causes of these blocks. Then, you will learn to heal these areas to free your energy for health in all areas of your life.